A London publishing house is launching a crowdfunding campaign to publish the work of one of Bosnia’s most prolific modern authors in English. Described as the “strongest voice of the so-called ‘mangled generation’ to come out of the Yugoslav wars,” Bosnian veteran and poet Faruk Šehić was launched into the literary spotlight back in 2013, when his debut novel Quiet Flows the Una took the EU Prize for Literature. 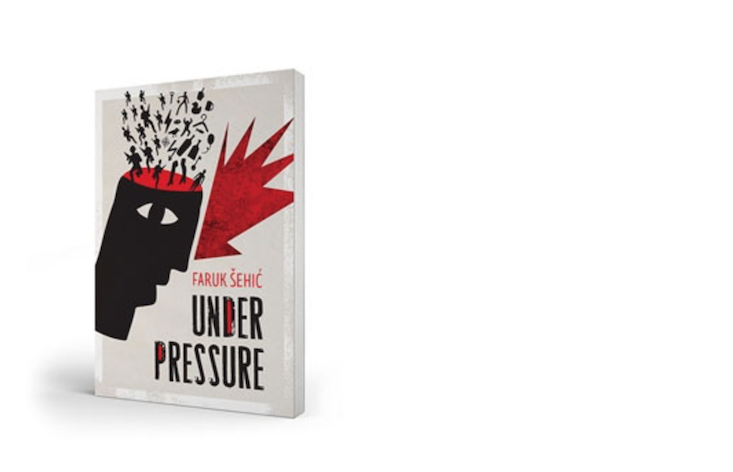 The UK-based Istros Books now hope to publish the Šehić’s acclaimed Under Pressure, a collection of often brutal short stories dealing with the fallout of the Bosnian War. But with high upfront translation costs to contend with, the team are asking would-be readers to buy into a Kickstarter campaign to order the book in advance. “Translation is costly and lengthy, and it’s worth noting that most UK publishers do not invest in ‘foreign’ literature for precisely this reason,” says the team, who are hoping to raise £5,000 before 19 November. As well as giving readers the chance to pre-order the book, the company is also offering English-language copies of Šehić’s previous work and tote bags designed by Aleksandra Nina Knežević, who also designed the covers for both books.